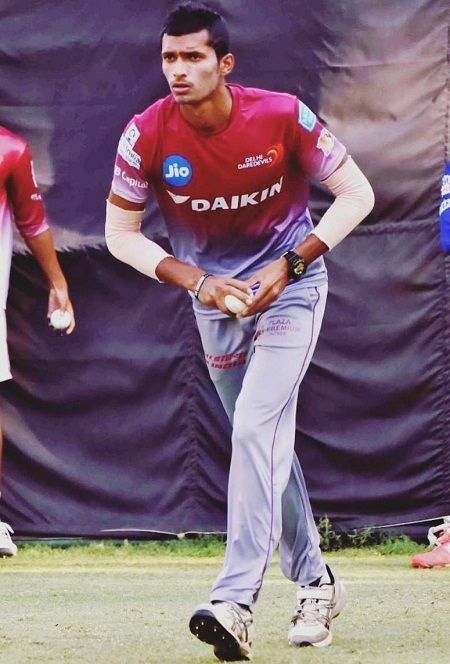 Navdeep Saini, is a cricketer, who is a right arm medium bowler, born on November 23, 1992, Navdeep is a young cricketer who currently plays for India A and Delhi. Despite being from Haryana, he was chosen to play for Delhi in the Ranji Trophy over which DDCA Selection Committee even expressed their disapproval. Navdeep made his first-class debut at the age of 21 on December 14, 2013 at Roshanara Club Ground during the 2013-14 Ranji season. DDCA Selection Committee was skeptical of his selection and even disapproved of it because he was from Haryana and not a player from Delhi. In this match itself, he gave a good account of himself, taking two wickets. His performance for India A against New Zealand A in 2013 where he took seven wickets in two matches elevated his career to another level. Navdeep’s performance got hampered in 2014-2015 when he suffered with a stress fracture. Navdeep has played in Karnal Premier League 2011-2012, India A in 2013 and for Delhi Daredevils in IPL 2016.